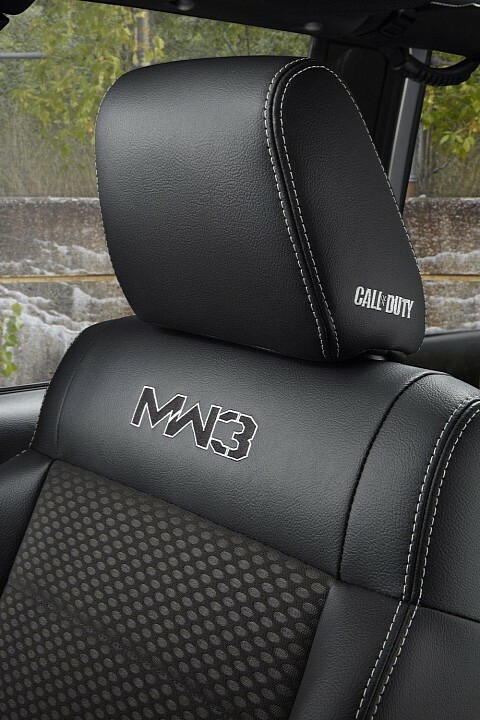 Following the successful launch of the 2011 Jeep Wrangler Call of Duty Edition, Jeep and Activision Publishing announced today that the Jeep brand has been named the exclusive partner of Call of Duty: Modern Warfare 3. For those of you not crazy about video games, Call of Duty: Modern Warfare 3 is one of the most anticipated entertainment launch of 2011, and will be released on Nov. 8. The 2012 Jeep Wrangler and Wrangler Unlimited Call of Duty: MW3 Special Edition is based on the Jeep Wrangler Rubicon and features Rubicon wheels finished in semi-gloss black. It is available in Black or Bright Silver, the exterior features ‘Call of Duty: MW3 Special Edition’ graphics on the front fenders and spare tire cover. 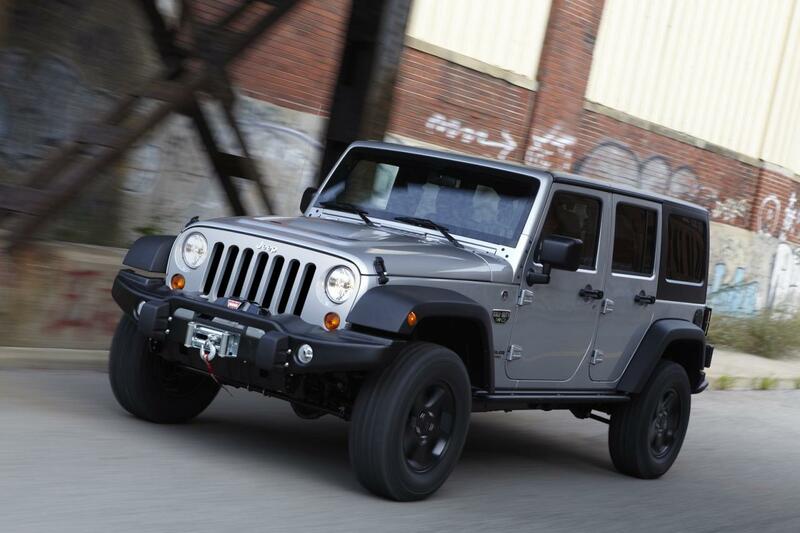 Available dealer-installed Mopar performance parts include a Warn winch, 2-inch lift kit and classic five-spoke wheels. The inside is covered with a bunch of Call of Duty logos. The 2012 Jeep Wrangler and Wrangler Unlimited models are powered by a 3.6 liter Pentastar V6 engine making 285-hp and 260 lb-ft of torque.